After two decades in the corporate world, Kris Gumbrell and his business partner joined forces to launch Brewhouse & Kitchen, on the basis of brewing beer on the premises. Back in 2011, Kris Gumbrell and Simon Bunn set about building what would go on to be one of the country's fastest growing pub and restaurant chains, in the form of Brewhouse & Kitchen. Its origins, though, go back much further, with both having enjoyed corporate careers in the sector and, in the case of Kris, having had an early exposure to the trade. "My family were involved in working men's clubs in South Wales so from the age of eight or nine I was collecting glasses and picking up skittles for £2 a night," he says. "I went to hospitality college and joined Bass, and for 20 years I worked for Bass, Greene King and Scottish & Newcastle, but I always had this hankering to go out and be an entrepreneur." 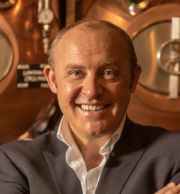 In 2008, he left the relative safety of the corporate world and set up Convivial London Pubs, where he - and Simon, who he had met in 1996 while the pair worked at Scottish & Newcastle - first experimented with the concept of brewpubs, where beer was brewed and sold on-site, on the back of the growing market for craft ale. "I could see that beer was becoming more interesting, and more niche and artisan," he says. "We had two unbranded brewpubs and we learned a huge number of lessons, and almost dry-ran it." The wider market was changing, too. "Until the early 2000s the big brewers had a pretty strong stranglehold on the trade, but customers were becoming far more experiential and wanted something more interesting when they went to a pub environment," he recalls. "The larger operators were really struggling to keep up with the rate of change in the market." By 2011, Gumbrell was eyeing up a sale of the business when Bunn approached him with the idea to start a business built specifically around the brewhouse concept. "Simon had worked with me as a general manager a long time ago, in 1996, and went on to have a very successful corporate career in his own right as an operator," says Gumbrell. "He decided he wanted to strike out himself so I helped him raise money and put the company together and as soon as I sold Convivial London Pubs in 2013 I joined Simon in Brewhouse & Kitchen and we opened our Portsmouth site. It really went from there; it took us another 14 months to do the second site but after that it just went ballistic." The duo was helped by the decisions of the people who took on the previous two brewpubs not to do any brewing on-site. "That was great for us because it meant we kept the model and all the IP and creativity, and that has stayed with us. It's been a very short journey but it's so motivational; I feel that we're very much at the cutting edge of the pub retail market, which is craft beer and on-site beers." The concept of brewing on-site remains pivotal to the business model today. "The core value for us is that we brew in every single pub," he says. "We have around 350 different beers that we brew across our entire estate so by brands we're one of the largest brewers in the world but they're very small volume. We also only brew when guests are in the business, and that's really important for us because it's part of what people expect. It would be very easy for us to take all our breweries out of the business and just brew everything centrally but our breweries actually live and breathe." Unlike many competitors, the business also stocks a range of other beers and drinks. "We want to give guests a great choice and range," says Gumbrell. "Obviously we want people to love our beers but it's important to have a strong range of beers for our own brewers to compete against too. When we put our beers up against some real market-leading craft beers that are brewed externally, it really means our brewers have to step up and make sure that their beer is the best on that bar." Outlets generally offer around 25 draught beers, of which about eight are brewed in-house, as well as a large number of bottled beers. This wasn't the only distinguishing factor. More out of practicality than design, Brewhouse & Kitchen developed a niche in acquiring dilapidated sites, usually former pubs which had failed or where landlords had been unable to get permission for conversion into alternative uses. "That's the accidental success piece for us," he admits. "Where we have bought derelict sites it's gone really well for us, because firstly they're quite cheap but also because you tend to get embraced by local communities. Some of our very best sites are on what were derelict sites." In fact, around 45% of sites are either derelict pubs or conversions of empty units, he says. "Our mission is to find the best sites that have been overlooked or where the owners and operators have missed a trick and we can get in there and buy them," he says. "They're not cheap; we can spend a lot of money converting or re-opening a site because they can dilapidate very quickly and there are a lot of regulations around hygiene which requires us to do them to a very high standard. So every site has had a major development." Today, the business currently operates 22 sites, with a further two going through the legalities of the acquisition process. Much of this has been funded by venture capital investment, through the Enterprise Investment Scheme, but Gumbrell admits the rapid growth has taken even him by surprise. "We looked at each other about three years ago and asked if we'd ever get to 12 sites, so it's gone a bit quicker than we'd planned," he says. "We've got very supportive shareholders and investors and the businesses have performed, on balance, pretty well. We've also had good recognition, not only from our guests but in the industry from organisations such as CAMRA, which has recognised us for preserving pubs and the quality of some of our beers." The business owns around three-quarters of its estate, with a few leased properties, which has also helped to find investors. "They want all the benefits of a fast-growing brand but they also want the security of bricks and mortar underpinning the investment," he says. As managing director Bunn takes on more responsibility for the strategy and direction of the business, he adds, while Gumbrell tends to handle the day-to-day management and investor relations. Such rapid expansion, though, has not been without its downsides. "We've learned the hard way that we have to grow our head office with the pace of growth in the business," says Gumbrell. "We've got an operations team spread around the UK now so we can cover most of the country, from the north of England, down and across through Wales to the south coast, so we have a good spread of businesses and we have an infrastructure there that can cope with that. By this time next year we're aiming to have 28 sites across the UK." The company's growth is not just on the back of conventional beer sales. It has moved into offering brewing experience days, food-and-beer matching sessions and beer masterclasses. "Experience businesses in general are thriving right now, and that's really helped accelerate our growth," he says. "It gives us another product to sell but it also creates advocacy around our business. Pubs are about building a regular trade and engaging with people at a local level." The food side of the business has also helped, accounting for around 40% of the company's turnover. "My background is in hospitality so the food piece is built in," explains Gumbrell. "When I was at Greene King as an operations director I had nearly 200 pubs, all selling fairly large quantities of food. Food is part of the DNA of our business now, and it's very much around matching it with beer but also cooking with beer where we possibly can. We keep our menu very simple and affordable; we are not a top high-end gastro operation. We provide good quality, everyday pub food and we have a specials range that we rotate every eight weeks, and that works very well because we want consistency across the group as well." Yet as with any business, getting up and running hasn't been without its challenges. Staff is a particular headache, and the potential impact of Brexit is a concern. "It's no secret in hospitality that we're heavily reliant on EU migrant workers," says Gumbrell. "People give you the most fulfilment and cause you the biggest nightmares! But we have a fantastic team of nearly 600 people across the group, ranging from kitchen teams to front-of-house staff to specialists in beer, coffee, guest services, wine, spirits and cocktails." One source of talent has been university graduates who have been unable to find employment in other areas, and end up falling into the sector. "The hospitality sector isn't as attractive as it once was, for whatever reason, and they tend to pick this up as an accidental career," he says. "But that's our big challenge this year, and coping with the headwinds of cost pressures and business rate increases and all the things that everyone is experiencing in hospitality and the high street at the moment." The business has also just launched a level 4 brewing apprenticeship scheme to help develop the next generation of brewers, taking on five apprentices, and instil in them the skills needed to run their own operations. "We need our sites to have good standalone brewers running their own individual operations, so they have to be quite self-sufficient, so we needed a high level of qualification," he says. The company has been chairing the government's Trailblazer group to get the qualification up and running, he says, and has been battling to attract enough funding for it through the government's apprenticeship levy scheme. But being able to cope when things don't go to plan is an essential trait of an entrepreneur. "You tend to get on a roll and get some momentum going and then all of a sudden something doesn't land quite right," he says. "You think you're doing well and then you can fall flat on your face, so learning to cope with that, dust yourself off and carry on is important." Coping with planning restrictions around some of the buildings the business has taken on can also be frustrating, he adds, particularly as the plan is to help restore the area in question. Having built up two extremely successful ventures, Gumbrell has a few words of advice for potential entrepreneurs. "Be absolutely crystal clear about what you want to do," he says. "But don't hobby-farm; don't do something that you would like to do but think about who is going to use it and how usable it is. We could have made our food far more aspirational but we want to make it accessible and enjoyable for everybody, so make sure it's commercial. Finally, there's the old Churchill statement that if you find yourself in hell, keep going. If things don't go well, just plough on." As for his own future, Gumbrell can't see any further than his current passion. "You have to see where life takes you but right now I'm very committed," he says. "We've managed to get through a fantastic period of growth and development but there's so much more we can still do with it. It does have its challenges, and we're going into a very uncertain time right now, but you can't let it get you down. You have to turn it to your advantage."